Most people have heard the expression with April showers comes May flowers. This is meant to signify that springtime is the rainiest time of the year. For any homeowner living in a flood-prone area, this time a year can be problematic. The easiest and most cost effective ways to avoid an emergency flood are to install sump pumps, and ejector jumps to your home. A sump pump is a simple machine that can be installed by a plumber in NYC. 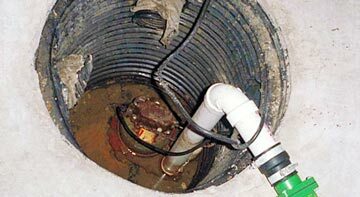 A sump pump is intended to remove water from a home and bring it to appropriate drains. There are two main varieties of sump pumps on the market: a submersible and a pedestal pump. With an analysis of your property and flood issues, we can help pick the right sump pump for your home. The other device that can be installed is an ejector pump. This pump works similarly to a sump pump, but this version is specifically designed to manage sewer water. These tools are especially practical in any basement that is below the level of a home's septic tank or the city sewage pipes. There is nothing worse than a flood that is comprised of sewage. Hiring a plumber in NYC to install one or both of these machines before a problem arises is an economical way to prevent severe flood damage. If your home has flooded once before, you may want to consider adding these tools to your home. For more information regarding installation give us a call today.